This year’s merry-go-round of trade fairs is now spinning at full speed. In March we reported from ISPO in Munich and heard the latest news from TTNA. The first pre-show news also started to trickle in from the big one – the forthcoming Techtextil, which will be held in Frankfurt, Germany, in May. It’s amazing how quickly two years passes. Techtextil North America took place last month in Raleigh, NC. Moving the show from its 2017 location in Chicago back to the Southeast proved popular among the industry, making the 2019 edition the highest attended odd-year show to date, according to the organisers. The event brought 165 exhibitors to the Raleigh area from North America and beyond, and total attendance grew to 3,185 – showing a 52% increase over the Chicago event, with 32 countries represented in total. Decision makers from all of the major industries that touch technical textiles and nonwovens attend Techtextil North America to conduct business and discover the latest product developments and industry trends. Read all about it here - Techtextil NA 2019 experiences record growth. Around 80,000 visitors from 120 countries visited ISPO in Munich last month. Our correspondent Jana Bukolovska joined them. A total of 2,943 exhibitors showcased their products and innovations, an increase of 5% over the previous year. The share of international exhibitors also set a record at 89%, with the largest participant groups by country being Germany, China, France, Great Britain, Italy, Taiwan and the US. This year, the show occupied 18 halls of the Messe München exhibition centre and focused specifically on creating a consumer-centric environment that encourages valuable connections and helps accelerate the global evolution of sports. The show’s layout provided widened centred aisles, dedicated focus areas and reduced height of the stands to better accommodate visitors’ and exhibitors’ interaction and engagement. Read Jana’s review here - ISPO roadmaps future for industry. Our correspondent Anne Prahl was also in Munich for ISPO last month. Sustainability has become increasingly important at ISPO and this trend continued to develop, as a growing number of brands and suppliers presented more environmentally friendly and low impact materials and production processes at this year’s event. This is a positive indication that the industry is willing to take more responsibility for the manufacture, use and end-of-life of their products and is beginning to make sustainability a significant element of the innovation process. The most obvious material trend continued to be the use of recycled materials, as many outdoor and snow sports brands are following in the footsteps of recycling pioneer Patagonia, whose collection comprises reclaimed cotton, recycled polyester and nylon and recycled wool and down products. Recycled fabrics are no longer reserved for outer layers, as brands presented products with recycled fabrics ranging from base, second and mid layers to padding and insulation, as well as trims. You can read Anne’s full report here - Sustainable material and process innovation at ISPO Munich. While at ISPO, Anne Prahl caught up with Nello Marelli, Head of Creative Department at Italian warp-knit producer Eurojersey, to discover the 2020 Sensitive Fabrics collection and find out about the design inspiration behind it, as well as learn about some of the key manufacturing technologies that created the collection’s unique surfaces. The patented range of Sensitive Fabrics is well established with major brands for sportswear, swimwear, intimate apparel and ready-to-wear markets. 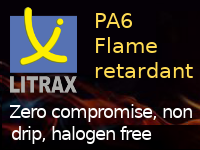 The first to be developed, Sensitive Classic, is made from 72% Nylon with 28% Lycra, and is a firm favourite with designers due to its ability to provide excellent freedom of movement, along with a host of technical features, such as enhanced breathability, quick drying and sun protection and chlorine resistance by construction. Additional benefits for the wearer include easy care, minimised formation of wrinkles and high resistance to pilling. Read the full interview here - Classic performance meets innovative surface design at Eurojersey. Techtextil, the world’s leading trade fair for technical textiles and nonwovens takes place this year from 14-17 May in Frankfurt, Germany and already news is starting to pour in from exhibitors and the organisers themselves. Techtextil 2017 drew more than 33,670 visitors from 104 countries and 1,477 exhibitors from 55 countries. 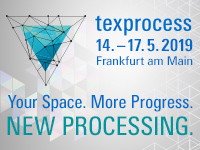 In addition, 7,091 visitors to Texprocess also visited Techtextil. The two fairs welcomed a total of 1,789 exhibitors from 66 countries and more than 47,500 visitors from 114 countries. At a press conference in January organisers said that Techtextil 2019 is almost fully booked, once again exceeding exhibitor levels for the previous event in 2017. Read the press conference report here - Techtextil 2019: Reflecting positive growth. In Arville returns to Techtextil we hear how leading specialist weaver of technical textiles Arville will once again take its place among the sector’s biggest names and innovators at Techtextil in Frankfurt. Representatives from the firm’s Sales and Technical teams will fly to Germany for the four-day event to meet and talk to customers and partners, old and new, from across the globe. Arville will headline its integrated manufacturing capabilities, covering the design, weaving, coating and fabrication of bespoke textiles – suitable for demanding end applications in a wide range of industries including defence, aerospace, pharmaceutical, and automotive sectors. 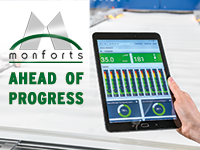 In Monforts coating competence at Techtextil 2019, we hear that leading German machine builder Monforts will demonstrate a number of enhancements that have recently been made to its texCoat and Allround coating units at the forthcoming Techtextil. In BMSvision inspection systems at Techtextil 2019, we hear how BMSvision, a leading supplier of turnkey Manufacturing Execution Systems (MES), will be exhibiting with a focus on its camera-driven On-Loom inspection systems, Industry 4.0 and mobile MES solutions at in Frankfurt. Through intelligent wireless networking of all production equipment in the mill, the BMSvision MES solution transfers quality data originating from the various production machines and processes into meaningful information for the managers. The BMSvision MES suite for the textiles industry includes software modules for real time monitoring, reporting, scheduling, preventive maintenance, fabric inspection and traceability. Karl Mayer is showcasing high-performance warp-knitted textiles at this year’s Techtextil. On show will be products with integrated electrical conductivity and shaping characteristics from the new Textile Makerspace platform, an efficient textile solution for protecting buildings, and a completely new generation of warp-knitted spacer textiles. Read more here - Karl Mayer’s high-performance warp knits at Techtextil. Karl Mayer is also inviting people to attend an in-house show, to be held at the same time as the fair, at its headquarters in nearby Obertshausen. The event will be premiering a new nonwovens machine for the visitors.